The voice, above all, is that which is lost to the wind. Mafalda Arnauth reminds us of this in a song entitled ‘Esta Voz Que Me Atravessa’ [This Voice That Crosses Me]. The song speaks of a voice that does not live inside the singer but in a shadow beside her. In the second verse she sings, ‘Trago cravado no peito / Um resto de amor desfeito / Que quando eu canto me dói / Que me deixa a voz em ferida’ [I bear, embedded in my chest, / A shard of broken love / That hurts me when I sing / That leaves my voice wounded]. The final verse reveals that the voice that has possessed the singer is in fact that of Maria Severa and did not die with the fadista. The singer is encountering a voice older than she. Here, the voice itself is the site for an acting out of the memory work supposedly undertaken by all fadistas who show fidelity to the originary figure of Severa. The voice becomes an object, like the shawl worn by female fadistas as a sign of mourning for Severa. This object bears none of the claims to originality familiar to so many commentaries on the individuality of the voice; rather, it is collectively owned, something to be taken up, borne and passed on. There is a responsibility to fado singing, then, one that permits Mariza to name her first album Fado em Mim [Fado in Me] and to include on it a song explicitly about responsibility, ‘Ó Gente da Minha Terra’ [O People of My Land]. It might be more accurate to say that there is a responsibility to singing in general which fado recognizes. This allows the fadista António Zambujo, for example, to sing ‘Trago Alentejo na Voz’ [I Carry Alentejo in My Voice], in which the carrying of a place and style quite other to that of Lisbon fado can be voiced. Zambujo signals recognition of the polyphonic singing tradition common to the area of Alentejo in the south of Portugal, both in the lyrical message he delivers and in the addition of a male choir to his recording of the song. 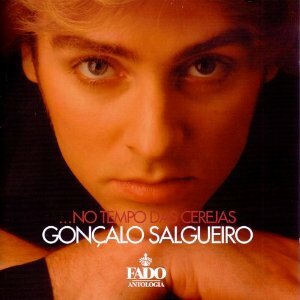 Another example of this carrying of a responsibility can be found in the work of the fadista Gonçalo Salgueiro, especially his debut album …No Tempo das Cerejas (2002). Over the course of the first four lines, and occupying a significant section of the song in terms of duration, we experience what Simon Frith calls ‘the sheer physical pleasure of singing itself … the enjoyment a singer takes in particular movements of muscles’. Furthermore, a message is communicated directly: voice will be central to this recording project. And so it turns out. 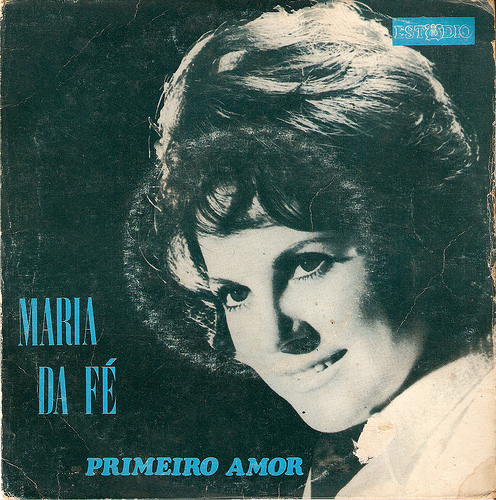 Following a fairly strident rendition of ‘Meia Noite e uma Guitarra’, a different enjoyment of the voice that complements the subtle intricacy of the album’s opener, the third track comes in the form of a poem written by Maria de Lourdes DeCarvalho with Amália in mind and entitled ‘Tenho em Mim a Voz dum Povo’ [I Have in me Voice of a People]. The poem sings of a ‘Voz com que canto e me encanto / Em cada canto do meu pranto / Uma estranha lágrima de fogo’ [Voice with which I sing and which enchants me / in each song of my lament / A strange tear of fire]. Responsibility is key here. Salgueiro is carrying a responsibility, as the liner notes to the CD make clear. He is in the tradition of Amália and veers, according to Rui Vieira Nery’s version of the singing-as-enjoyment phenomenon, between ‘the joy of risk-taking and a liking for conservatism’. 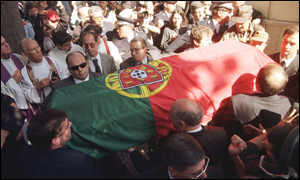 As the accompanying biography alerts us, Salgueiro was invited by João Braga to be part of a show that accompanied the moving of Amália’s body to the National Pantheon in 2001. There is a layering of responsibility here as Salgueiro is given the task of ‘carrying’ Amália in his voice and Amália is given the posthumous responsibility of eternal national recognition. In her third verse, DeCarvalho has Salgueiro speak on behalf of Amália of the latter’s new home alongside the poets Camões and Pessoa, a home that is both the Pantheon itself (the home of mortal remains) and the Infinite in which her ‘eternal soul’ will sing a song in the presence of God. This appeal to God should not surprise us. Fado, like other cultural products and processes in Portugal, has deep connections with Catholicism and many of its key tropes (fate, sin, guilt, redemption) could be traced back to religious practices. We can find a fine example of the divine implications of the fado voice in a song written for Amália by Alberto Janes and entitled ‘Foi Deus’ [It Was God]. The song begins, not unlike ‘Tudo Isto É Fado’, with the singer claiming ignorance; in this case it is the reason for the sorrowful tone with which she sings fado of which she is ignorant. But this ignorance is superseded by the declaration that ‘It was God / That placed in my chest / A rosary of pain / For me to speak / And to cry while singing / He made the nightingale a poet / Put rosemary in the fields / Gave flowers to the Spring / Ah, and gave this voice to me’. In one rather simplistic sense, this provides us with an ‘answer’ to a question posed by so many commentators about the ‘magical’ power of Amália’s voice. How did that voice allow her to transcend the politics and traditions of her time and become so ‘universally’ acknowledged? The answer appears that to be that it was not her voice after all but part of God’s plan. In Mafalda Arnauth’s ‘A Voz Que Me Atravessa’ the voice that passed through the singer, while capable of travelling across time and space, had mortal origins in the figure of Maria Severa. Here, the origins are explicitly divine. In one song, we hear the voice of the people; in the other, the voice of God. Manuela Cook suggests that the fatalism of fado is generally connected to an earlier fatalism found in the Romans and Greeks and is in fact in tension with Catholic faith in which ‘a Christian healing power defies a non-Christian merciless destiny.’ But it is the latter, the ‘omnipotent but merciful God’, that Cook recognizes in Amália’s ‘Foi Deus’ rather than ‘ancient inexorable deities’. Cook’s discussion of the role of women in fado singing covers the witnessing of the Fátima miracle in 1917, offering a useful reminder of the role of witnessing in religious lore. Many different religions place emphasis on witnessing, testifying, performative preaching, ritual and what Simon Frith calls ‘the collective voice of religious submission’. Notions of submission and possession are frequently given voice in fados such as Maria da Fé’s ‘Cantarei Até Que a Voz Me Doa’ [I Will Sing Until My Voice Hurts]. This song is a speaking-out, or singing-out, a stubborn persistence to make oneself heard and to not have one’s voice lost to the ether. Like ‘A Voz Que Me Atravessa’ and ‘Foi Deus’, it represents a giving of oneself over to the voice and the song. But the reliance on another figure is lessened; neither God nor the mythological fadista are required. The witness here, like the witness in court, is someone who takes the stand and who is given their moment to speak out, licensed by the people to speak for the people. In this sense, it is a very public song and immediately brings to mind visions of its performance in a casa de fado such as the one Maria da Fé herself operates. This emphasis on speaking out and on public voices should not distract us from the privacies and intimacies of speaking and listening allowed by sound recording. 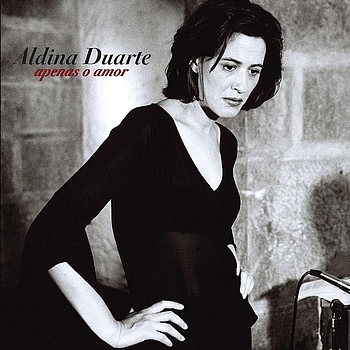 Aldina Duarte, no stranger to the casa de fado, nonetheless fashioned an intimate form of communication on her first album Apenas o Amor (2004) that could only have come about through the medium of recording. The album is notable for having a sense of sonic intimacy that is attained by the unhurried nature of the arrangements and the way the voice and guitars have been miked and recorded, with a slight echo that serves to emphasize the clean silence surrounding the words and notes. This is further highlighted by songs which reference the affect of voice. The first song begins with the evocation of a ‘voice in the silence’, while the second opens with ‘the memory of a sad voice’; another speaks of ‘an unconscious voice / that deep down is always fado’. On the slower tracks, José Manuel Neto’s guitarra is a model of minimal accompaniment, allowing the voice room to materialize in the sonic field. It is no surprise that fellow musicians Carlos do Carmo and Jorge Palma, who both provide liner notes to the album, speak of silence in their comments.